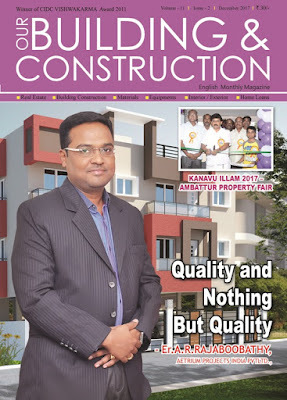 Home > Realty - Affordable Homes > Affordable Housing for Low Income Group..! Government of India, since independence try to solve the Housing problem by evolving policies, programmes and by innovating techniques. But is still it goes on and le! a large portion of people are with no roof over their head and devoid of quality environment for safe living. * Given the projected growth of urbanization in India and the consequent housing demands, Ministry of Housing and Urban Poverty Alleviation introduced an interest subsidy scheme for acquisition / construction of house (including re-purchase) and incremental housing to cater to the Economically weaker sections (EWS), Low income group (LIG) and Middle income group (MIG) called “Credit Linked Subsidy Scheme (CLSS). The carpet area of houses being constructed under this component should be up to 30 sq.mt for EWS category and up to 60 sq. for LIG category. designed envisaging a bigger role for private sector, but it’s cause of worry for the government since very few private sector participations has been enlisted. By a quick survey with the stake holders in Chennai, the following views have emerged. * Developers are interested in developing affordable housing provided government aids to remove the bottlenecks. * Private developers choose constructing houses for MIG and LIG as houses for EWS get them poor profit margin. * Reasons for no active contributions from developers is that, more subsidies are required by them. Important lessons that are noteworthy from the Singapore model of housing are reforming Housing’s contribution to economic development, home ownership affordability, urban governments, housing subsidies, monetizing housing assets, and market transparency. by the Central Provident Fund. It is also to be noted that buying an apartment built by private developers whose projects cater primarily to the richest Singaporeans cost three times as much as of HDB. By many measures the system is a success. Singapore has virtually no homelessness. Housing Development Board’s (HDB) towers are somewhat drab to look at, by they are clean and safe and their apartments spacious enough. HDB housing is more affordable than comparable accommodation in Hong Kong, London and some other rich cities. The tactics on which Singapore relies on compulsory savings, state land ownership and state provision of housing which can easily spawn widespread eficiency and eliminate corruption in other sociopolitical contexts. The case study on Singapore affordable housing is appreciated and how our government policies and rules have to be revisited so as to make affordable housing successful. Affordable housing will be the top runner in next five years and favourable provisions are made to EWS and a LIG groups, provided due subsidies and reformation in policies with stringent implementation are made.